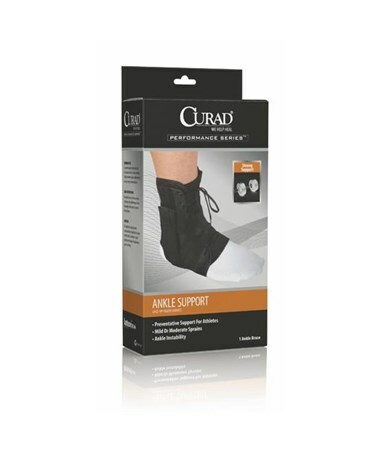 Curad's Figure Eight Lace-Up Ankle Splints help treat mild or moderate sprains and ankle instability, and also provide preventative support for athletes. Each box has one black vinyl splint. 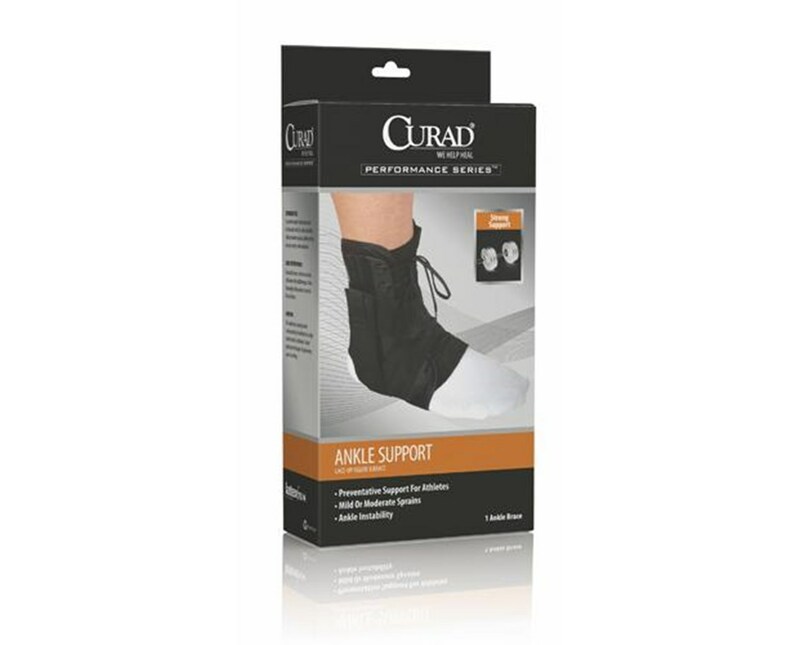 We offer the Curad Figure Eight Lace-Up Ankle Splint in three sizes, and two quantities for each. Select from the drop down menu above.